The brain is made up of trillions of cells. Three thousand psychoactive chemicals allow the brain to react to outside stimulus. More than fifty psychoactive substances activate aggression, sedation and memory. 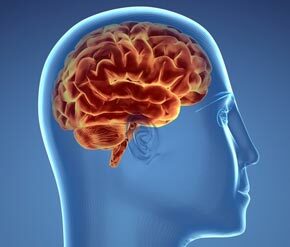 The brain can perform over 100,000 chemical reactions per second. One hundred billion bits can be stored in the memory, equal to 500 hundred sets of encyclopedias. The brain has 100 billion neurons and 100 trillion connectors for memory alone. Even with today’s high-tech diagnostic tools, most of the brain’s operations remain a great mystery. There is much to be said for the effects of fasting on the brain and senses. Thinking is sharper when hungry. When University of Chicago students fasted for seven days, mental alertness increased and their progress in schoolwork was cited as remarkable. The universal testimony of fasters is that thinking is enhanced. The mental and physical senses are heightened, and often, there can be a feeling of euphoria, especially during longer fasts. Some, for the first time, will experience emotional stability. The reasons for this are multifold—the elimination of the emotional dependence on food, exclusion of stimulating foods like caffeine, processed sugars and trans-fatty acids, all of which can have a devastating effect on delicate emotions. Within the brain, neuroglial cells supply essential elements to neurons. If any neuron becomes diseased, injured or dies, it is consumed by the neuroglial cells. Their function is to keep the brain clean and healthy. When Albert Einstein died, he donated his body to science. Researchers examining specimens of his brain found that Einstein’s mind had 73% more neuroglial cells than the average person. Einstein had a very “clean” brain. Dr. Ehret stated an amazing fact at the turn of the 20th century. He said for a fast to awaken the higher mind functions, it had to be longer than 21 days. Fasting has a history of awakening intuitive senses, creativity and deeper spiritual questions in those with enough determination to get past the 21-day mark. Fasting has been beneficial in cases of paralysis, neuritis, neuralgia, neuroses and mental illness. Dr. E. A. Moras tells of a woman who fasted for seven days on strained orange juice. She had been mentally ill for eight months and treated by eminent neurologists. Her condition improved to the point of being cured by the fifth week after the fast. Medical science faces tremendous limitations when it comes to healing the brain. The complexity of this organ allows only the most basic intervention. Prescription drugs can have dangerous side effects because of the brain’s delicate balance. Fasting may be the most sensible route to healing mental disorders. It is well known that the brain, if given the opportunity, has a capacity of healing. Fasting will intensify the healing. I have seen a mentally deranged person stabilize in three days of juice fasting. Severe headaches have been cured many times Memory and concentration have been permanently improved. Fasting has also healed depression. I have a question about the brain article; Dr. Ehret said for a fast to awaken the higher mind functions, it had to be longer than 21 days. Is he talking about water fasting? Also, I was a heavy weed smoker for many years and been suffering from anxiety and other mental issues and presently doing a water fast to hopefully cure the problems. In addition, I will go to school this fall to try to become a doctor, which will be a very mental, challenging process. There will be a lot of memorization involved and was wondering what do you recommend to be in top mental shape for the intense schooling. I have found juice fasting more therapeutic than water fasting for most conditions. Ginko does improve memory. You need a juicer. Try starting on juice then alternating days of water fasting. The more mental demand I have here at the hospital the more in need fresh juice. Short fasts are great to clear out the mental fog of bad eating. Anxiety is rooted in unrealistic fear. Spend a few day journaling. When you feel anxiety, ask what is it that you fear and see if it is real. Then think the opposite of that. Ex, I will fail at school …. change to… I will be successful, have fun and make friends. If you do not make it come over and study with us at St. Theodore’s Hospital in the Philippines, it is free if you are a volunteer. Thank you for your help Tom; you’re a kind guy. rehabilitation method (“Recovery Integral Training Adaptation Method”) using therapeutic fasting and Complimentary and Alternative Medicine (CAM) This method is particularly effective for people who have suffered cerebral brain injuries and inflammation of the brain. I would like to share my story of success about my 24 day water fast while suffering from meningococcal meningitis plus meningococcemia (sepsis). In my book; “Incurable Diseases and Alternative Medicine”. Phoenix Publishing House, (or in Russian; Rostov-on-the-Don, Russia, 2006) I give a detailed account of how I treated and cured myself some twenty-five years ago. In the winter of 1980 when I studied in Residency at Kursk Medical College on the general therapy of internal diseases, I gradually developed bad headaches which plagued me throughout the whole month, and I was also struck by a chronic cold. I did not grasp the cause of my ailments and started an exercise routine- mostly jogging-as an attempt to boost my immune system the natural way. However a few days later, I was sent to hospital with an ominous fever of 40c! Initially I was admitted to hospital after consulting the attending doctor, even though the cause for my sickness was still unknown. By this stage I also had a fit of vomiting. Before nightfall I had an intuition that, I may have contracted meningitis! And how right I was! Almost two days went by before doctors were able to confirm my own diagnosis. (At first they thought I had gone mad!) Drifting in and out of consciousness I was in no state to discuss my condition with them even though I tried. On one fine day-after five days of unconsciousness- I awoke with a sensation of unimaginable ease in my body. A sensation which I had previously never experienced. “Have I returned alive?” Was the first though that passed through my mind on this day in Early February 1980. It was only the beginning of what was to be a relentless battle of body and spirit. At the time it had not yet been established that the meningitis had caused oedema on the brain. The day before my birthday my joints had swollen and became crimson: both talocrural and wrist, and joints on two fingers on the left hand were also affected. In the morning my body temperature was 37.5 C, and by the evening it had gone up to 39 C. For most of the night I felt drowsy and slept for only two to three hours due to the septic temperature (a septic polyarthritis). Because of strong pains in the wrist joints I could not wash independently without help, and had to use my torso to manoeuvre the rest of me out of bed and on to the floor. The spinal lumbar punctures (they were seven in all during my illness)added to my misery as for almost 2 weeks I was not able to bend my waist as a nerve had been touched. Any attempt to bend led to piercing pains in my right leg. The lumbar punctures were a necessary evil as the doctors could only establish from an extraction of spinal fluid the true nature of the infection. Once this sample was analysed the doctor informed me that he now knew how to proceed with the correct treatment. The next spinal puncture appeared to be unsuccessful, although this was not a first. “I have worked for 18 years and it is the second case in my practice!” Exclaimed the neuropathologist. At that moment I went cold, and my legs began to shiver. Let’s try again tomorrow on a couch, because of pains in my back, I said. Next day a nurse technician helped me to bend my back on a firm couch and, at last, after the jab, have received the long-awaited spinal fluid. My attending physician admitted to the consultant that he has never had to treat someone with a purulent bacterial meningitis. And because of his lack of experience he did not diagnose the sepsis, and that is why he continually asked, why I had such a fever and skin haemorrhage. The answer could be seen clearly from my crimson joints: As a result of this incompetence, I feared I would end up with gangrene on my left hand fingers! Listen carefully all you professionals! If I am still alive it is most probably down to the following reasons: 1) I had a young organism and in the past followed a regular fitness regime. 2) At the treating doctor’s home his wife was a doctor too, who was constantly kept up to date regarding my treatment, 3) Huge desire to live. I clenched my teeth and refused additional pain killers. These were in the form of injections which were kindly prescribed by my doctor. He was surprised, and wanted to know why I declined the offer. I told the doctor that I have already received eight injections of penicillin! on 3 million units a day intramuscularly, and a Dimedrol with Analginum. I was forced to request pain killers only at night so that I could sleep. The heat was so intense and intolerable. My buttocks were already swollen from all the injections, so there was no option but to suffer. My diagnosis sounded like a verdict: The residual phenomena meningococcal infections (meningitis and a sepsis) with the raised craniocereberal pressure, extrapyramidal disturbances (defeat subcrustal ganglia substances of a brain due to encephalitis) and fatigue syndrome. Translated into ordinary language, it would mean: Constant headaches day and night which made me climb up the wall, 4 hours of hallucinations late at night, and awaking early with shaky legs, dizziness, weakness in the right hand and a leg. These symptoms increased with the change of weather, and I also experienced a constant tremor of head and painful spasms in leg muscles, decrease in memory and concentration, fatigue and emotional imbalance in the form of vulnerability, despondency’s, depression, etc. I gradually got back on my feet after my consciousness adapted to these new conditions of existence. It took three full months to fully understand this. At the time I did not know the extent of my brain damage, but the impairment of my cognitive and emotional functions was widespread. Having plenty of time to reflect on the above situation, I tried hard to find myself. Most involuntary body functions continued to work perfectly after I had the hypo-stasis of a brain. However, I also experienced a big change in my perception: It seemed to me that the whole world had grown dull and the sensation of being alive was all but lost. Despite of this, in my mind I did not succumb to the desire to surrender to this inevitable vicissitude of life. My speech was in no way impaired, and although I could read, the word meaning (semantics) was at times absent. It was necessary to re-read a text several times over in order to grasp the meaning. As for the type face, there were some curved lines which simply did not register, and I often skipped lines too; so it became a necessary task to correct these idiosyncrasies, which was in itself quite exhausting! Although my sight and hearing did not suffer, my ears were strained, especially during barometric changes where it became difficult to understand some spoken words. little. There were times when I walked along the street stumbling about like a drunkard. Co-ordination of my limbs was impaired to such a degree that my neighbours and elderly folk were left perplexed. Sometimes I did not want to watch TV programs due to severe headaches also I did not know, what to do to reduce that pain in my head. Sometimes I felt that my brain was malfunctioning and I got panic attacks from this. Reading was the only thing which offered an occasional respite from this inner turmoil. There was no peace in the afternoon, or at night, as sleep and pain killers, did not facilitate the condition, or strengthen the weakness. It seemed as though life had lost its sense. It was very enduring test and quite seriously dampened my spirits, causing a sense of fear and a hopelessness and self pity. “Why did this happen to me and will I ever be normal?” Was a recurring question. Any spark of hope was only short lived, as I was clinging to life with a sense of apathy and powerlessness. And this plunged me even deeper into the precipice of despair. My Soul was hurting and this pain cannot be compared to a physical pain! The only way this pain can be grasped is to actually experience it for oneself. My long term memory was not affected, but I could not recall the last names of many actors. There were instances when my brain disconnected for some seconds, losing the sense of what I was doing. I realised the sad future ahead of me when even the meaning of well assimilated words was lost! Doctors felt sorry for me, but were powerless, as in the textbooks on neurology it is specified, that only drugs can be of benefit in restoring one’s health. I attended the outpatient clinic for four months where I received medication by way of injections which were a heavy burden on the liver. After this I was forced to go for various state Medical examinations for assessing my level of disability. I was offered 3 groups of physical disability status, but I turned them down! “And you will not deceive us and recover?” asked the disability medical examiners at my local office. On the contrary, I had made a firm resolution to make a full recovery. Half a dozen doctor-neurologist examined me, non of them were able to say if I could make a recovery of if I would be able to work again. The main obstacle to restoring my health was the absence of knowledge on the complex rehabilitation procedures of patients with neuroinfection, so there were only limited practical recommendations that were given. I also required psychological support to get rid of the complexes created by my illness, at least giving me a glimmer of hope, which even the doctors looking after me did not have. In honesty, I had nothing to lose, and I was ready to try something radically different. I was not even frightened at the prospect of dying from fasting as in the book it went into detail about the successes that had been achieved with curing so called “incurable” diseases,even though there was nothing on my particular disease, and the more so about a regenerative diet there existed, and only I have found the description of this diet and pair examples of treatment in proceedings of regional library after traumas of a brain, stroke. When commenced the fast, my mum- the doctor physician with over 40-years experience and a Second World War veteran, did not begin to dissuade me but was very fearful that I could die from it. But when he witnessed the first positive results two weeks into my fast he calmed down. In that hot summer of 1980, during the 24 day therapeutic water fast I lost at total of 16 kg, but the co-ordination of body movements was restored, the liver functions improved and consequently my complexion returned, and most importantly was the belief in my ability to make a full recovery! I was not able to bring myself to tell the truth to the attending neuropathologist why I had grown so very thin. I stretched the truth and explained that I was on a forced diet due to a poor appetite. (At that time alternative methods of treatment and fasting was regarded by most doctors as wild. And those who applied these “fringe” methods on oneself where considered to be totally insane). I shall not tire the reader with intricate details of my dietary techniques and hunger cure (water fasting) as there is plenty of available literature on these subjects, and you can also read my book on alternative medicine. I can mention however, that the effects form this long fast such as: an obvious acidosis crisis, thirst and dizziness did not interfere with the fast as they did not occur , as much of my time was spent breathing fresh air, going on long walks, having enemas and by drinking plenty of boiled water and broth of boiled Dogrose which helped clear my intestines and I also took many warm baths. The baths served to relax and to detox the skin and kidneys. My fast ended after 24 days although I had planned for it to go on 25 days. I ended it earlier due to leg spasms which were due to neural imbalances caused by meningitis rather than the fast. At the time I did not know how to prevent them, and prior to the 24 day water fast, I did not purify the body on a vegetarian diet. So undoubtedly, my liver was overburdened with toxins waste from medications, so a word of caution, don’t repeat the same mistakes! I was broken physically but not spiritually. It was virtually impossible to find books on alternative health at the time but my intuition guided me back to good health. For eleven months I visited of the outpatient clinic and I had enough time to rethink the past and to search for new ways of healing. I loved my work as a medical doctor and in January, 1981 I began work at a city therapeutic hospital as a physician. After long hours at work, I was so tired that there was little physical or spiritual energy left continue with my daily houselhod routines. Even getting up from the couch was hard work. My organism was flat, but it was still necessary to continue with my research. Months passed by and my health improved very slowly. I knew that my slow recovery and lack of energy was due to the meningitis and this really frustrated me. In October-1984 I was offered a new position – Chief of medical department in the 60 bed therapeutic branch. By that time, my health had improved by 50% but was not trustworthy enough to hold down this new position. (at the time I was age 32) My former head physician told to me that if you undermine your weak state of health by taking up this new position, you may irreversibly damage your health. But I was lucky because my dream to be a chief of a medical department came true and I was able to restore my health and rebuild my life through my career. No one was able to understand at the time how significant that was for me. My professional growth moved forward quickly as I tried to make up for lost time. Frequent improvements of my professional skill and constant self-education have served to deepen my knowledge on many specialities – my field of expertise was on general therapy. This new professional life style did not permit me to follow the advice and words of caution given to me by my neurologists, as I was constantly under stress. However, I managed to carry out the student’s dream – become chief of branch and a qualified doctor, despite of all the odds! During my illness I consumed a large quantity of medications, and the colour of my face bared witness to this. On one fine day I made a firm resolve not to take any more medication whatsoever, because I could end up with cirrhosis of the liver. As a medical doctor I clearly understood that taking too much medication could be dangerous for the body, especially the liver. I did not have any other symptoms as a result of the toxic side effects of medications. However, I never took a blood test for evaluating the state of health of my liver during my illness, but I did check my thyroid gland because my head was affected – that was fine. I suppose I did not get toxic hepatitis, I did not experience any pain in my liver either. On the other hand, I did suffer from stopping the drugs I was on to normalise my sleep. The symptoms were, leg spasms, trembling and a poor sense of balance. In order to purge the body and liver, I replaced the medications with a regime of hot baths. These were done daily for a period of 20 minutes, and caused profuse sweating. Straight after the bath I put on some warm clothes and laid down in bed for 40 minutes to continue sweating out the toxins. This caused leg spasms and shivering. After this I went to work. In this way I successfully cleansed my body and to this day have refused to take any medications. I also achieved my dream of improving my health and benefiting from a new vigourous life. In 1986 I learned to run again, having begun with 15 minute runs, working my way up to one hour sessions. It was not easy. I stopped only when my pulse reached 120-140 beats a minute. For some months I experienced annoying twitching sensations and muscle cramps in my legs, but with a great deal of persistence I continued to train. Twenty five years passed and much has changed in my life; I have visited America; began to practice homeopathy and other methods of the Naturopathy, and developed my own system of health improvement. I look younger than my age, I still work long hours continuing with my alternative health research and write books. The greatest victory however, remains the victory of choosing and fighting for the road to life over illness and perhaps even death. This remains in the forefront of my mind and helps me overcome all life difficulties. The ‘real’ medicine for me over and above the work I love, is the condition of my soul. The love for all life and aspiration to help others to achieve the impossible. In this case being able to understand and accept deep seated feelings and conditions of feebleness and wretchedness is the medicine which enabled me to summon all my inner resources in accordance with Natural Law. This influenced my health on a physical level thus playing a significant and secondary role in getting me back on the road to good health. My Book “A prayer of survival” is a homage to the virtues of Patience, Gratitude, Trust and the will to live. Thanks for Posting. I would love to promote your book. I’m absolutely fascinated with how the brain works. One thing which I have learned on my fast is how time slows down – my perception of time. Another thing I have learned is mental clarity – I can think better, clearly articulate thoughts, my ability to finish a task when I start has been enhanced because for some reason I am highly focused on whatever it is I’m doing. These are amazing experiences for someone who is new to fasting. The brain is my favorite organ to learn about! You seem very proficient in the field of mental health and brain activity. I’m very much looking forward to a response from you. I come here with a problem that needs to be solved. My problem is hard to explain, and the best way to put it is this- I don’t feel right. Something is very wrong with me. You see, I can function normally, my senses are pristine, I’m not overweight, and I’m not underweight, but there is something about the way I feel, the way I act, and the way I respond to others that is just terribly off. My spacial awareness is brutal. If I am not sitting or lying down, then I am clumsy, jerky, or twitchy and thats because I experience discomfort when standing. I am especially uncomfortable in areas where other people are moving. I’m smart and fortunately, I’ve learned to compensate for my deficiencies; but its not enough.. Whatever condition I have severely inhibits my social life as well. I feel like my presence is overwhelming to people (in a bad way). I feel like my inability to understand spacial awareness and spacial relationships is the fault for it all. I have very limited mental clarity, if any. I feel restricted in my head. I can’t understand why others do things. I also am slow to react to stimuli. I can sense stimuli but I don’t react to it quickly. There is one last thing about me- I’m extremely talented at understanding some (not all) areas of math. One of my greatest life achievements was getting a completely perfect score on the math section of the SAT standardized test. Alas, there is a glimmer of hope. There are certain circumstances in which these problems, quite literally, ALL disappear. My spacial awareness and relationship is improved, my reaction to stimuli is quicker, my social skills are greatly improved, my mental clarity and understanding of my environment is like night and day. The first circumstance is sleep deprivation- If I am up for 20+ hours then I see great improvements. The second is fasting (again 20+ hours). If I fast, I see improvement. Either method can bring me into this “better state” and in this state I have more conscious control of my body movements, my speech pattern, my mental focus, my goals, and my conversation skills. But if I take one bite of food, or take even a 10 minute nap, I go back to my bad state. Whatever my condition is, it is really frustrating and it restricts my life. Tom, I’ve described all of my symptoms. I want to find out what’s wrong with me! You are one of my only hopes. You see, for years I’ve been quietly searching for answers to my problem. One by one I’ve eliminated conditions- autism, diabetes, antisocial disorder, and the list goes on. I’ve recently come to the conclusion that it is something to do with the brain and specifically the Parietal lobe, because the parietal lobe becomes active under sleep dep and which makes sense because it also controls body movement and spatial awareness. Thats really all I know. With all metal conditions I make sure that all processed oils including olive are removed from the diet. Next is the common allergins, diary, wheat products. Then a 30 day juice fast with essential oils, E and B complex. If you are born with it then diet will help. Is this is degenerative, the the fast may cure it. I embarked on a 4 day juice fast after my post, and it was a great experience. I loved the way I felt. I felt free! Now, I’m going to embark on a 30-day juice fast starting tomorrow. I want to follow your advice- So what exactly are the essential oils and E and B complex? I want to get those tomorrow. By the way, I’m a college student. So I plan on drinking alcohol during my fast at parties. Logically, I assume that vodka is a better choice than beer during a fast? You think its OK to drink alcohol at all? Also, I’ve done drugs like Cocaine, MDMA, and Ecstasy before. How will these drugs affect me during a juice fast? Is it dangerous to do any drugs during a juice fast? if you drink during a fast you will get sick and throw up. your body cant tolerate it like it can while your eating. you will immediately get drunk. i drank once while fasting and i never been so drunk and sick in my life. and you expect to drink like you normally can but you cant and in a public setting you’ll want to drink with everyone and drink how much they are but its a mistake! especially shots!